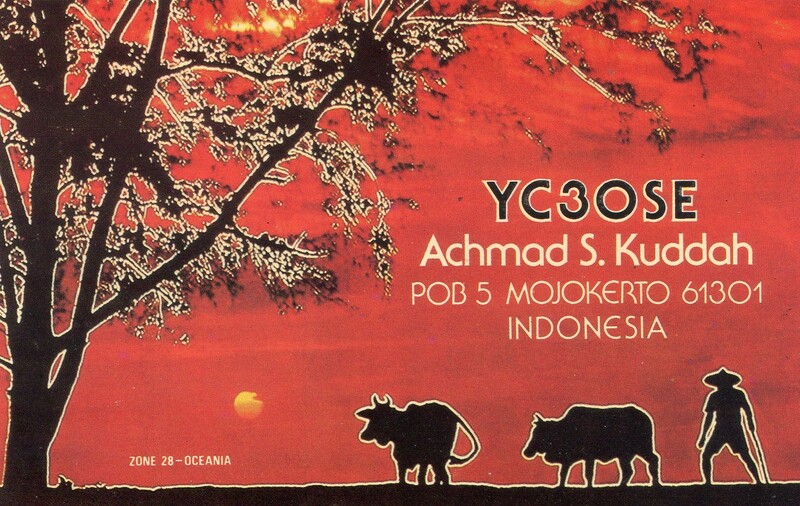 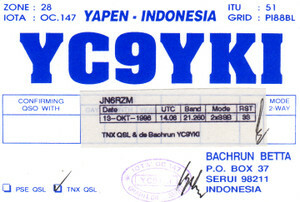 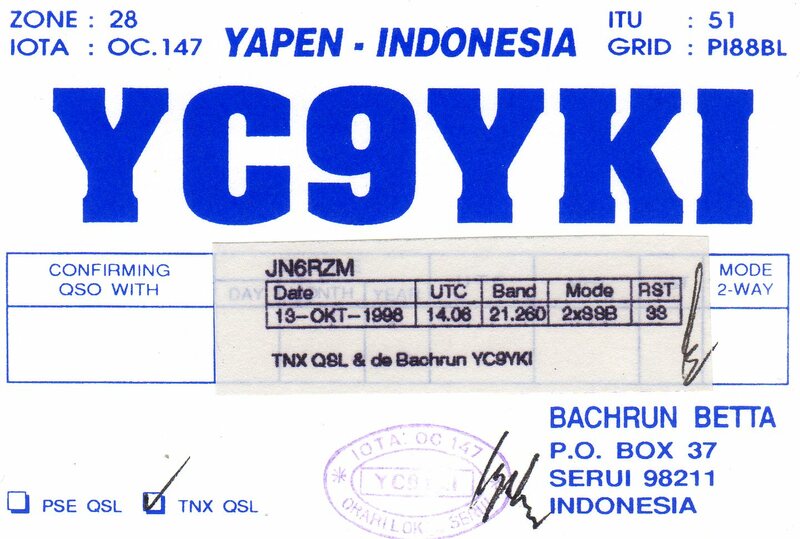 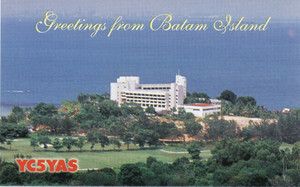 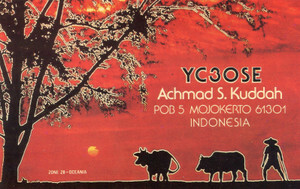 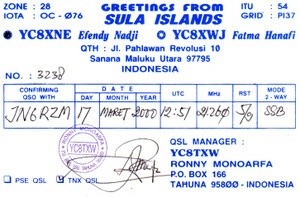 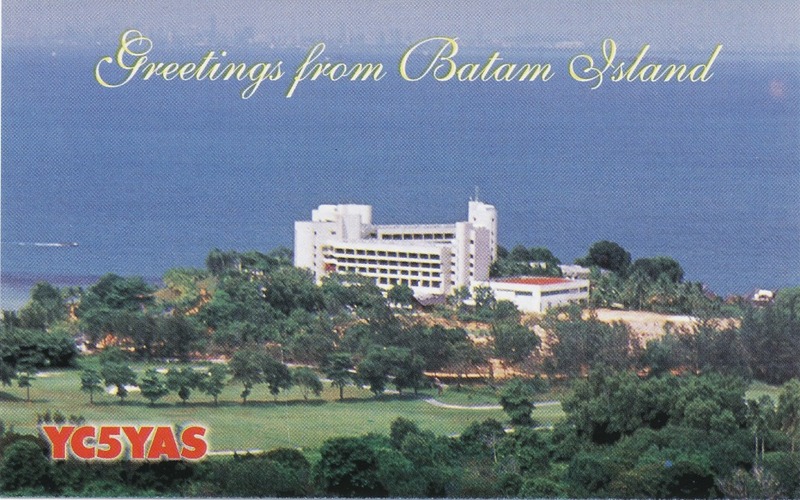 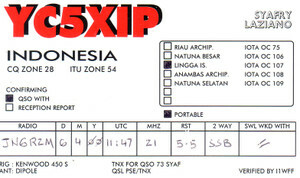 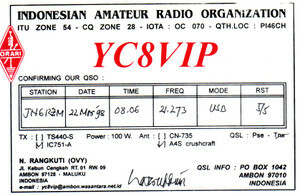 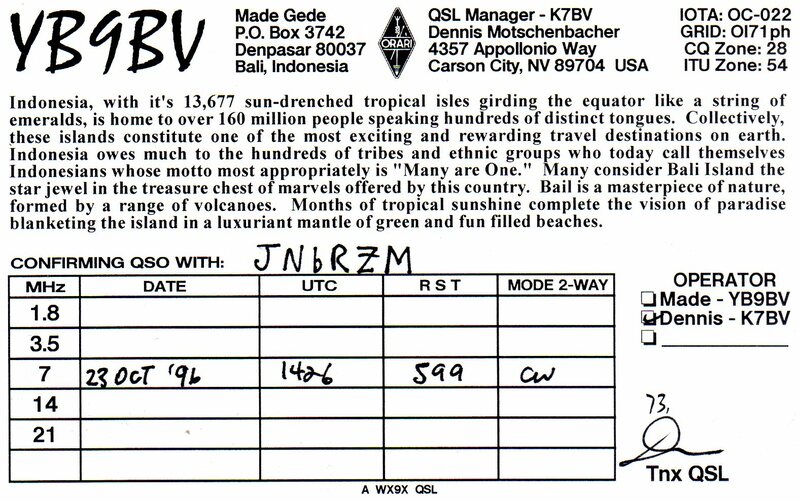 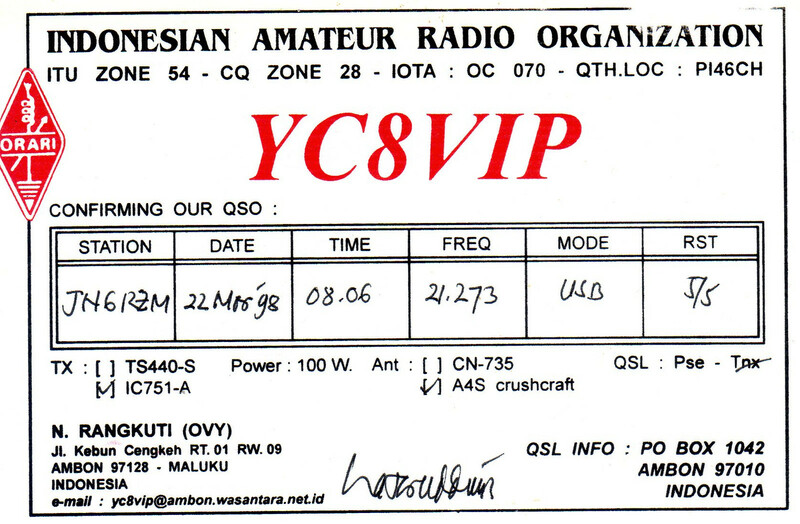 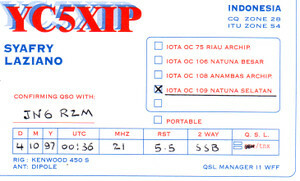 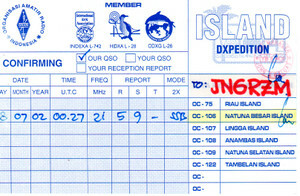 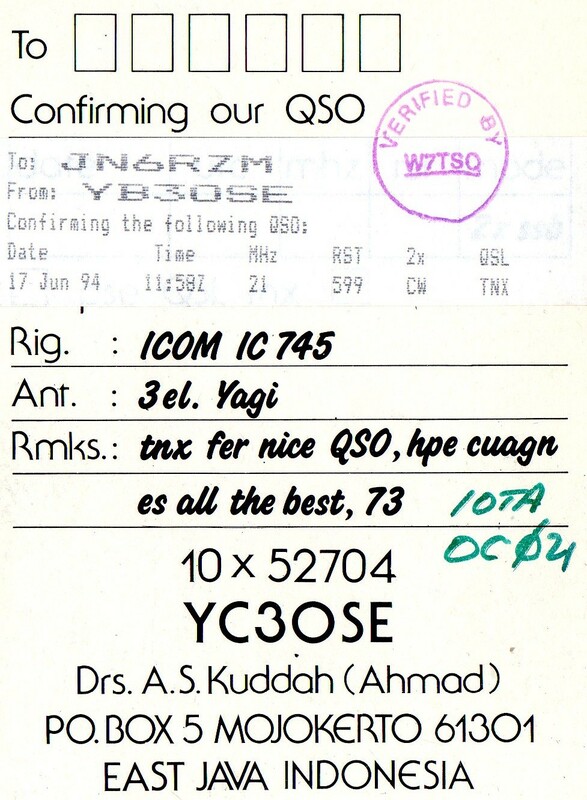 UTC (today) Qsl Mgr YB9BU. 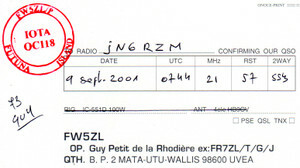 Hoping the propagation OK with Europe and other's. 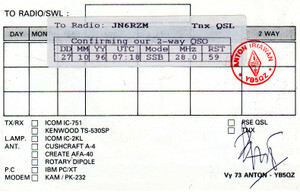 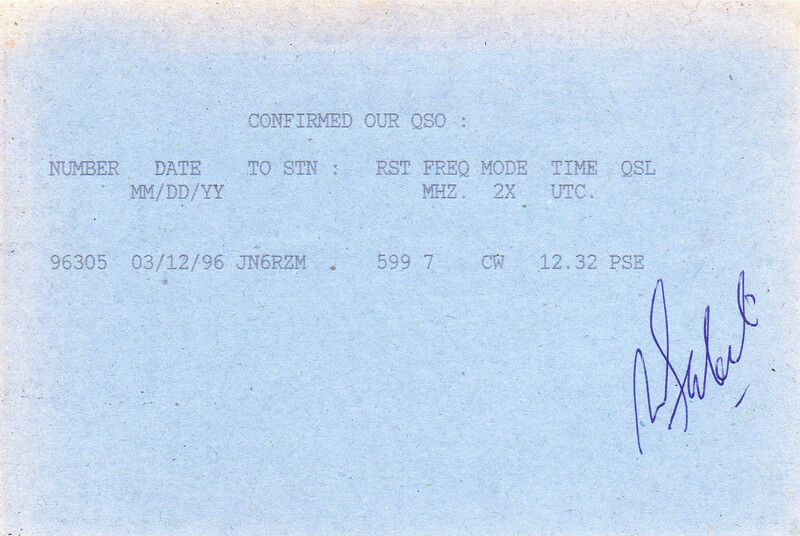 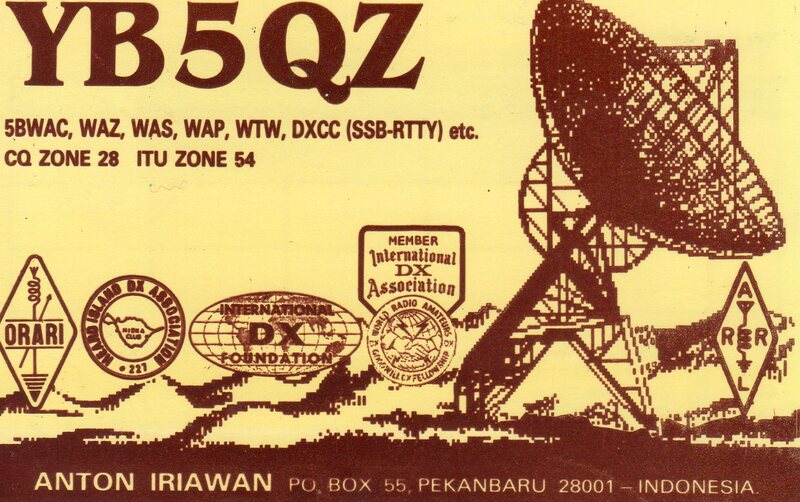 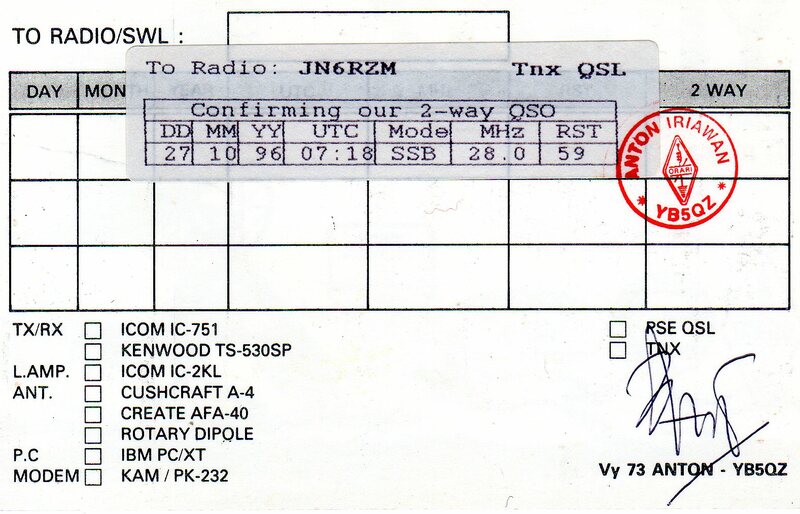 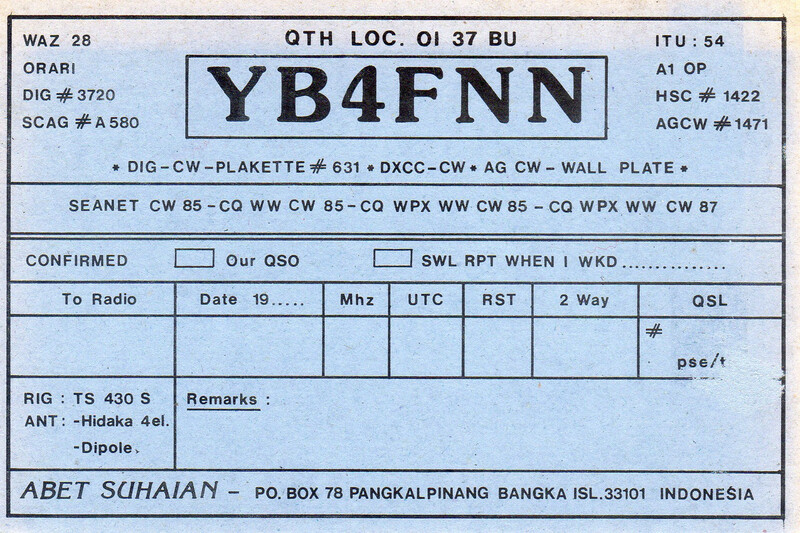 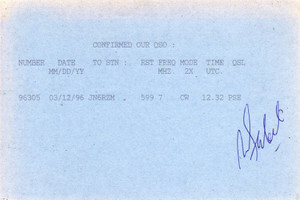 This is an Online QSL Request Form that can be used to request QSL confirmation both via Direct and Bureau. 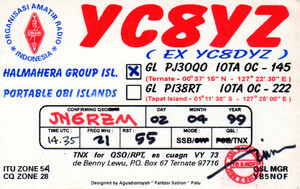 You can request more than one QSL at one time. 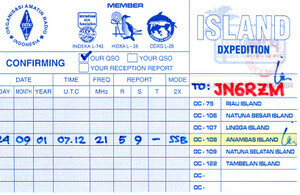 Your QSL card(s) are automatically mailed to you or automatically sent through the QSL bureau. 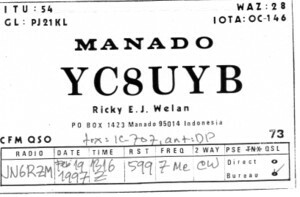 You do not need to send your card! 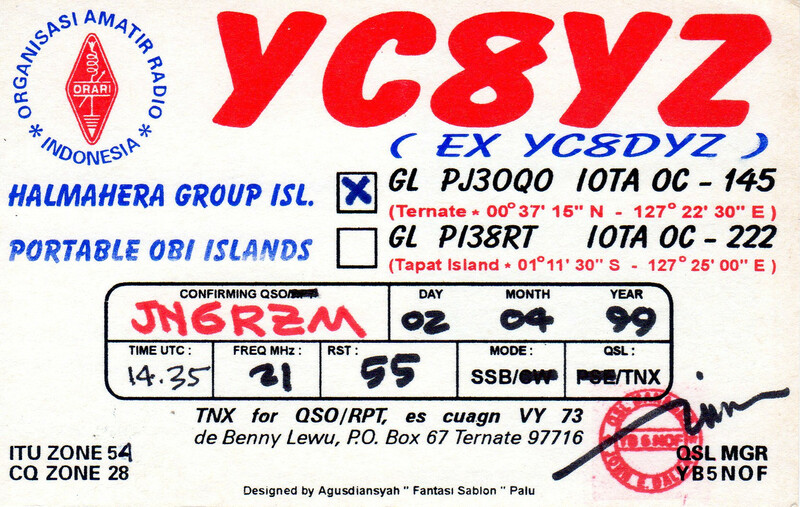 For a minimum Paypal payment of 2 Euro, the QSL cards will be directly send to you within the next 2 months. 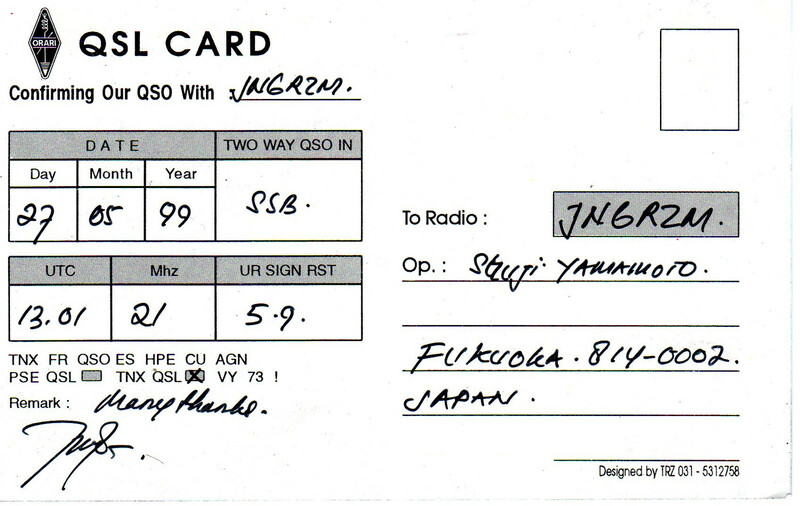 You can also request cards through the bureau. 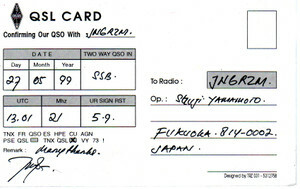 Your cards will automatically be sent within 1 year. 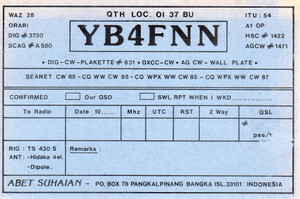 No payment is necessary. 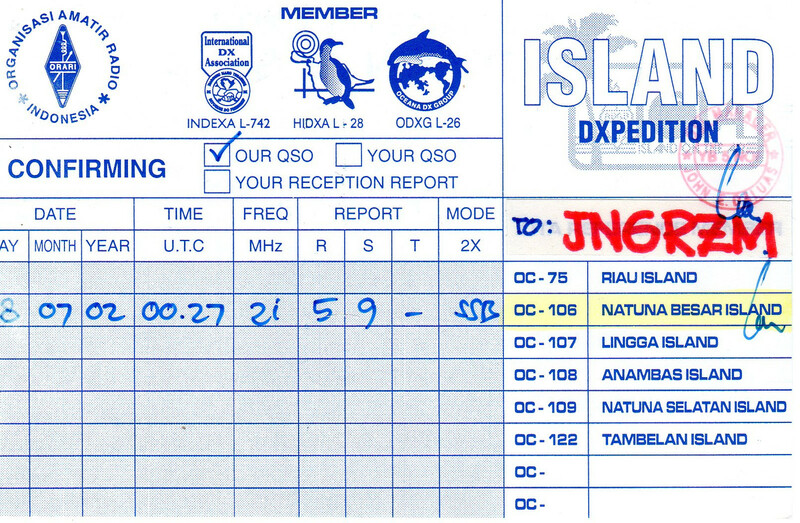 LOTW is updated at least every month and after the end of each activity, as soon as possible. 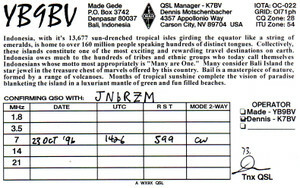 eQSL is not used and I do not send QSL by email. 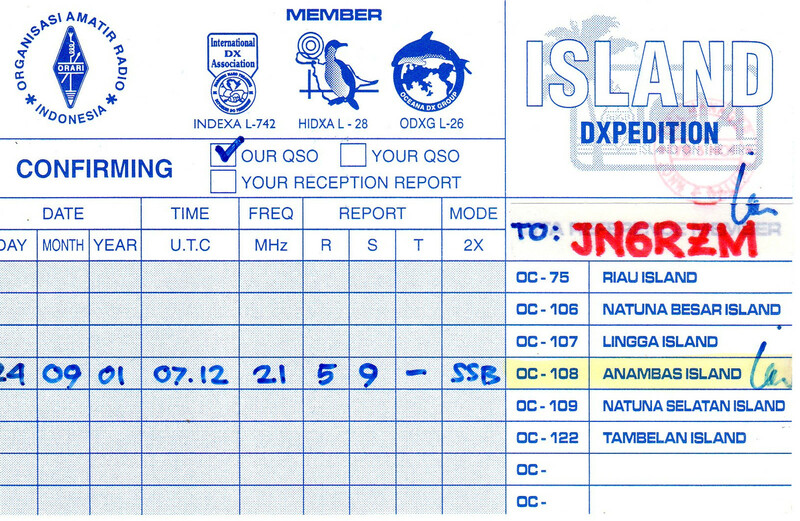 When using the Online QSL Request Service, do not send any further cards via the bureau or direct! 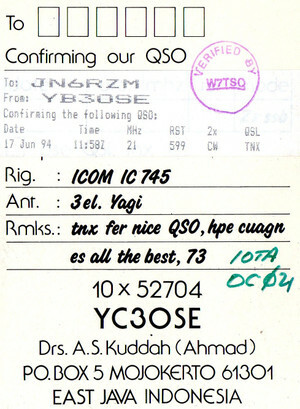 You can request QSLs for the following stations. making multiple QSOs with FW0NAR/p! QSL via HA0NAR. 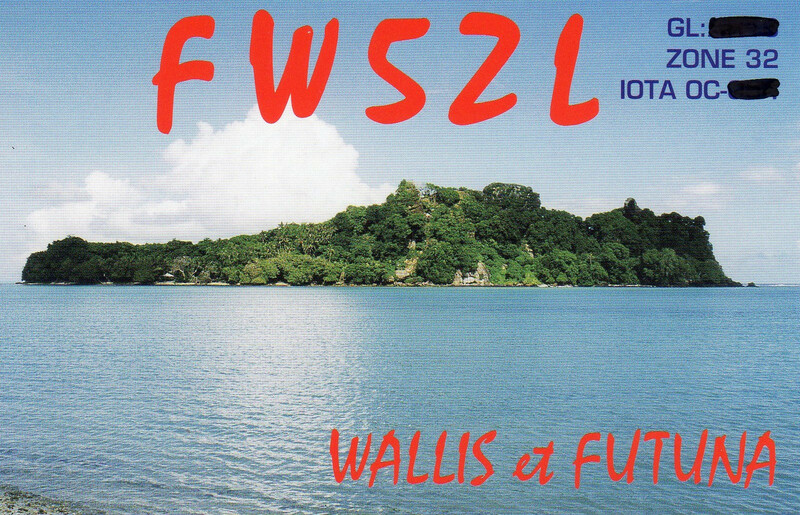 Laci will be QRV from Futuna on either February 13 or 14 for three days. 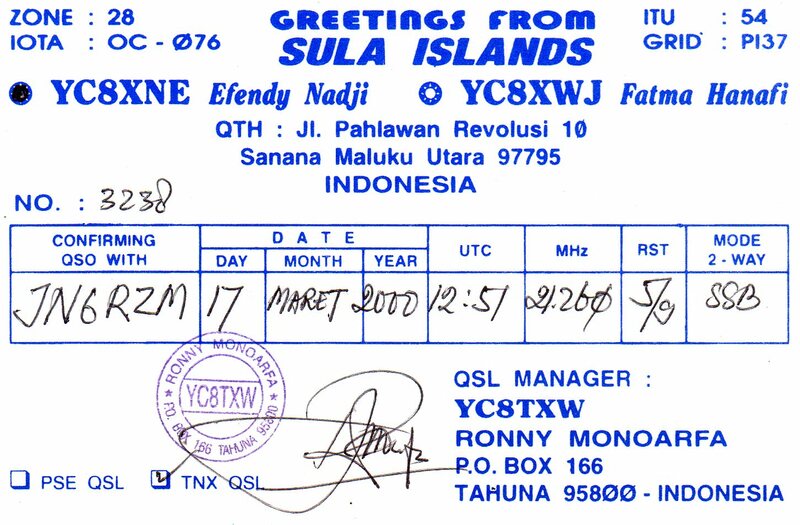 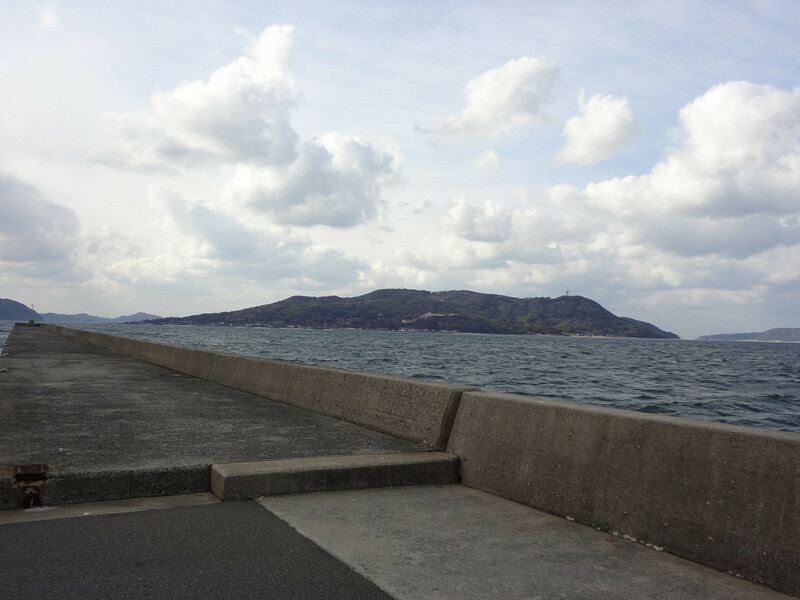 My friends Take,KH2/JS6RRR and Aki,AB0IH/KH2 are now QRVing on 80m-6m. 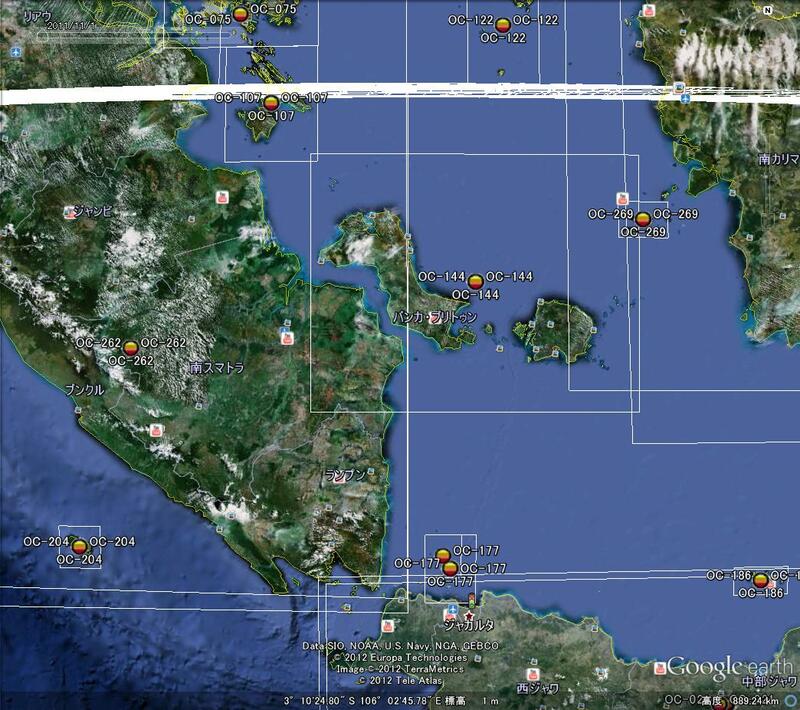 Please look for them for IOTA Marathon. 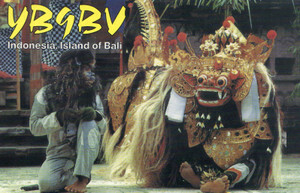 Would you like to make a Sked with them? 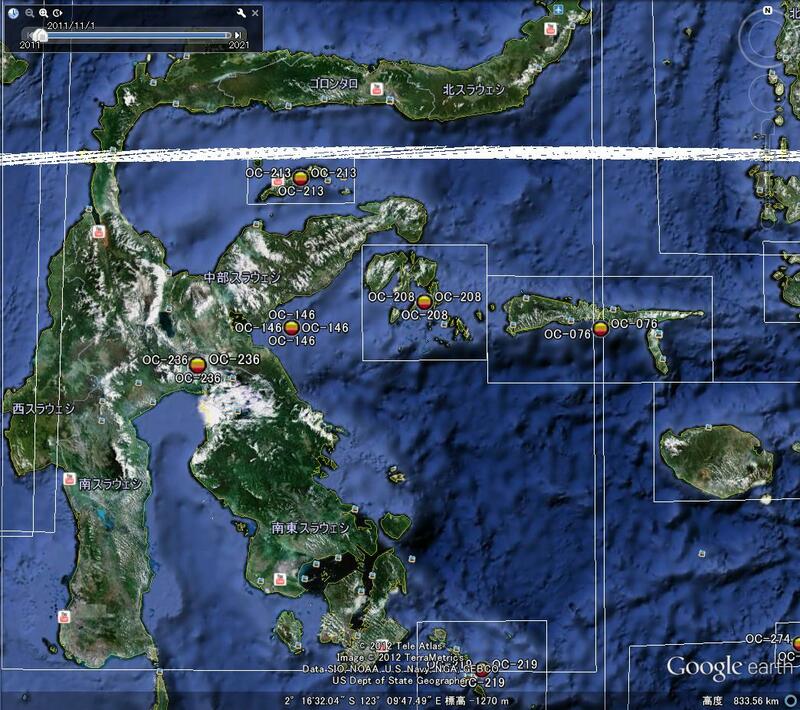 How long does it take about from OC-054 to OC118? 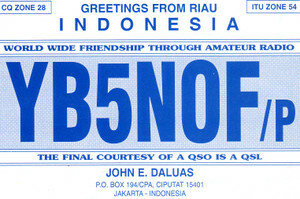 I will go to NA-065 today for 1-2 nights, some camping, may be 100W operation too. Weather is great, need to get operating skills back. 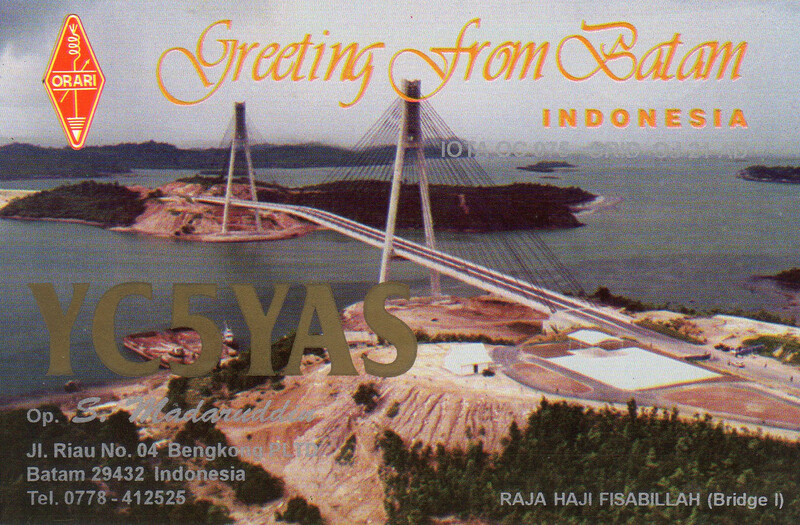 Hi Hi. 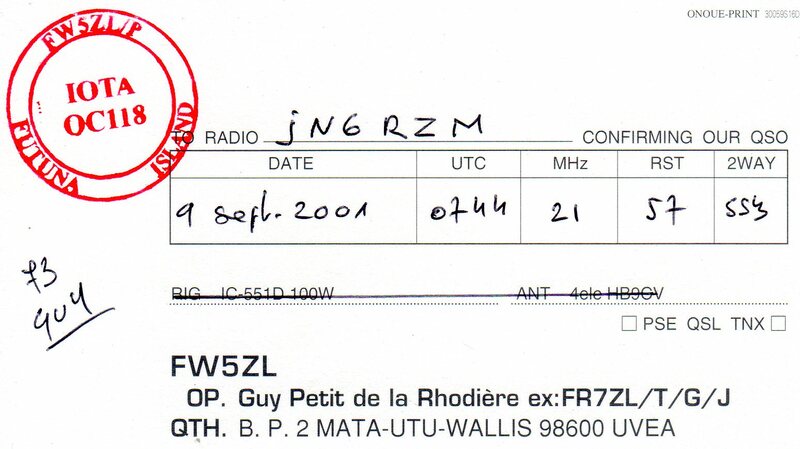 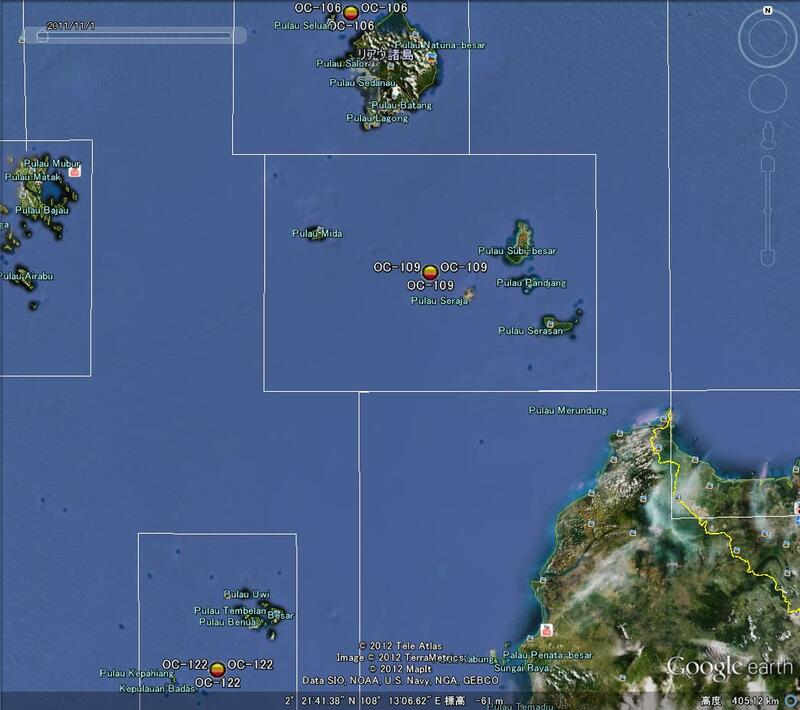 My contacts with many stations tonight at 14.260.0 MHz, but I did not hear you. 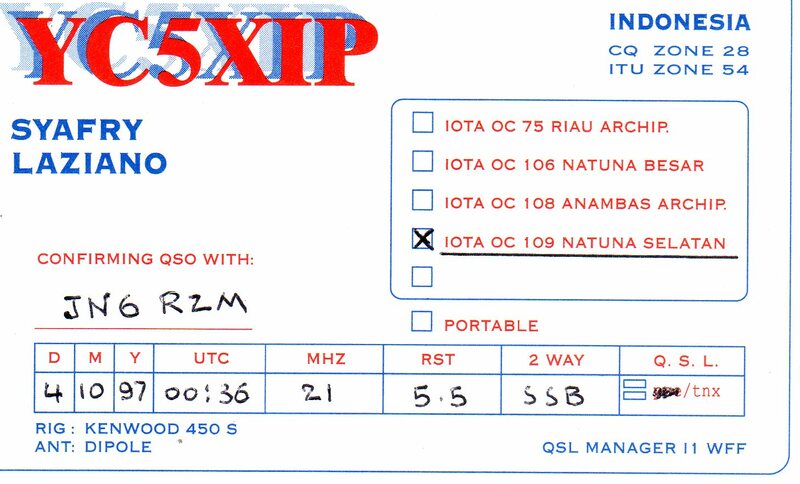 Maybe can try again tomorrow morning. 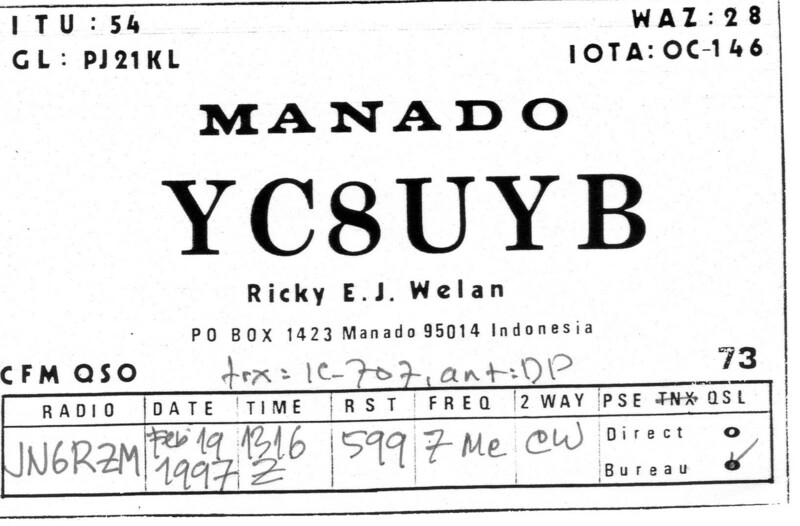 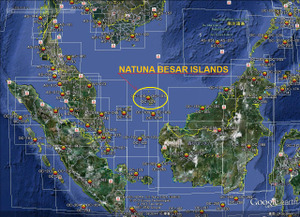 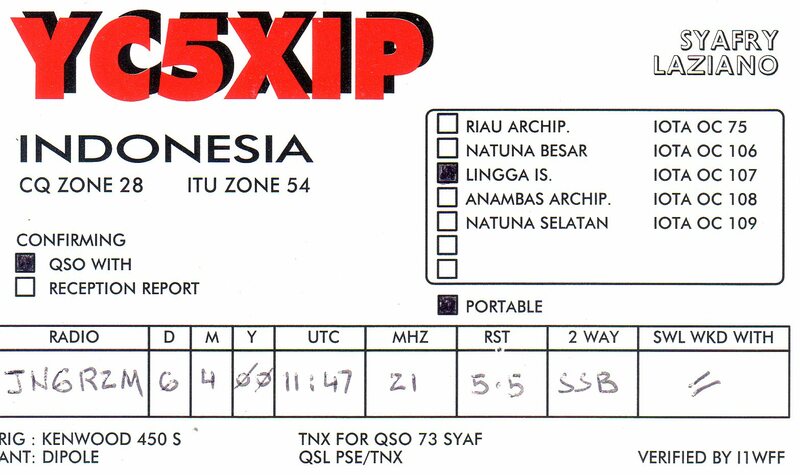 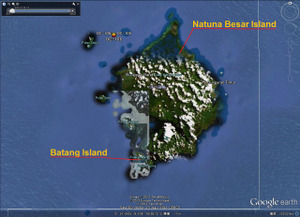 This afternoon at 1:00 pm I have a meeting with his fellow Amateur Radio in Ambon. 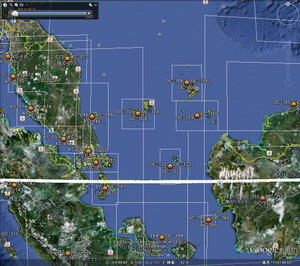 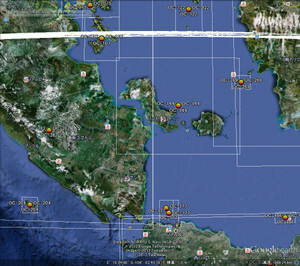 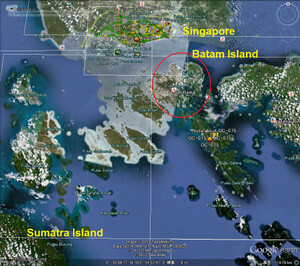 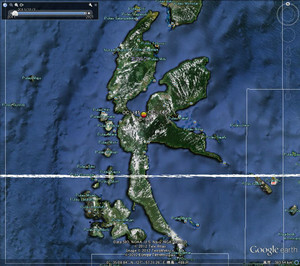 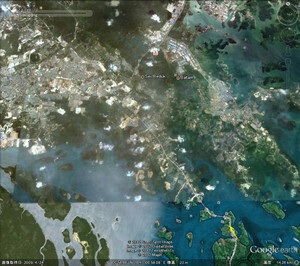 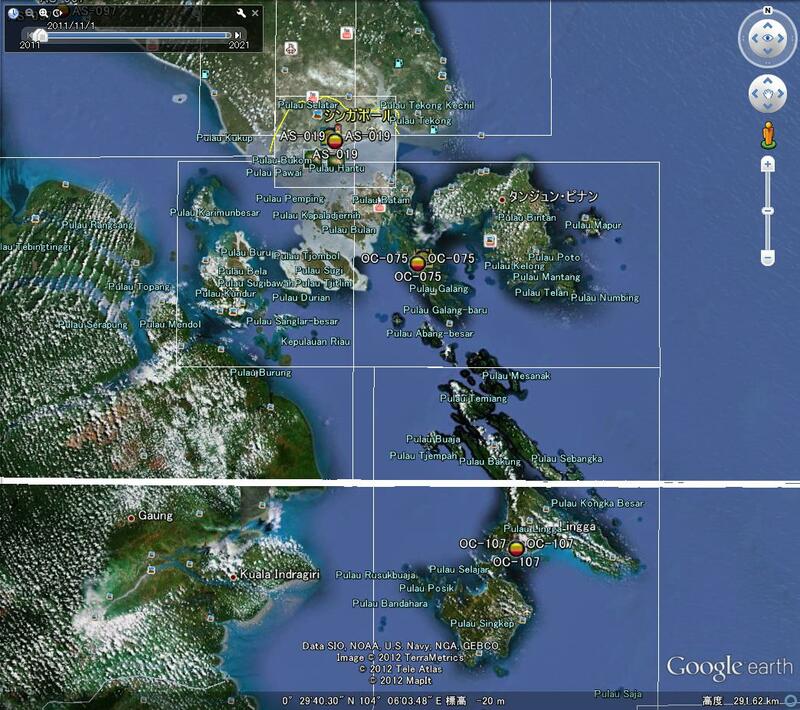 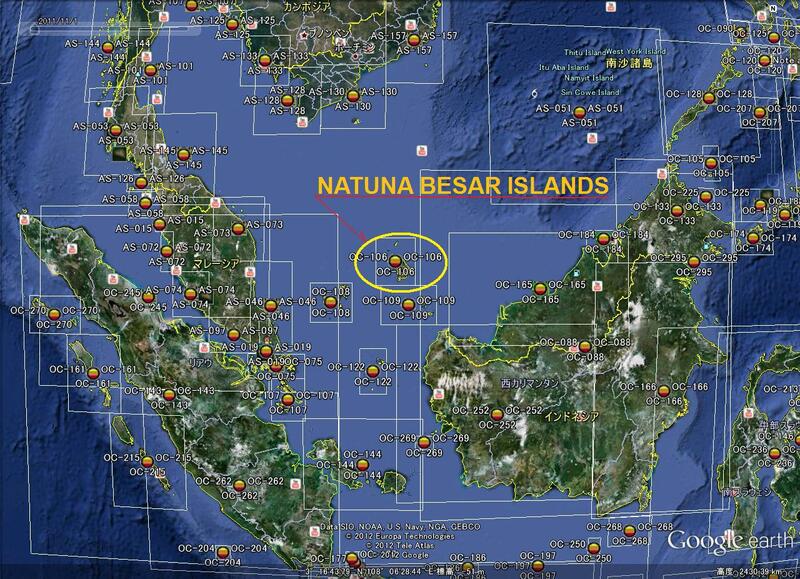 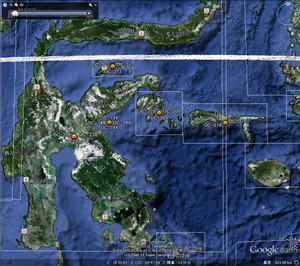 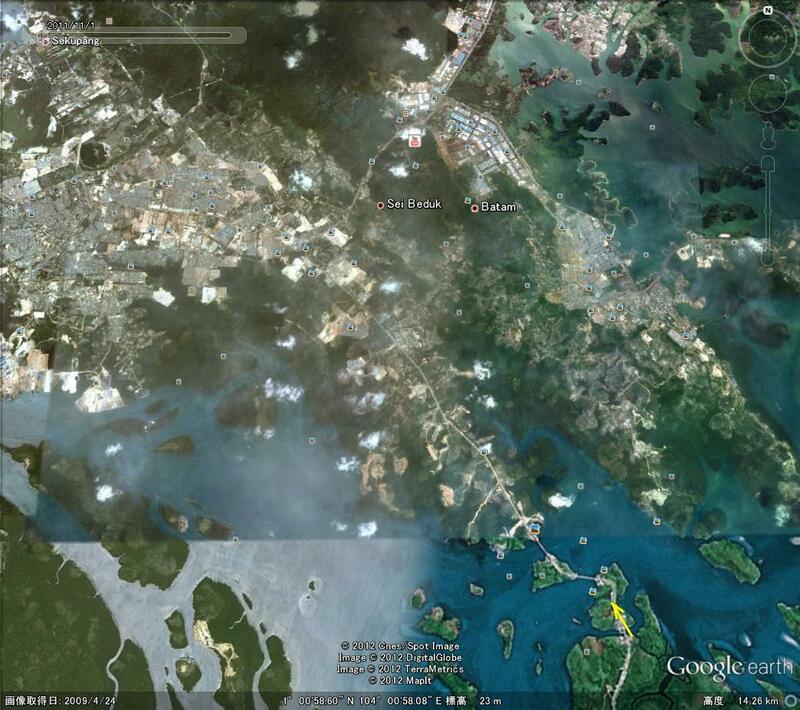 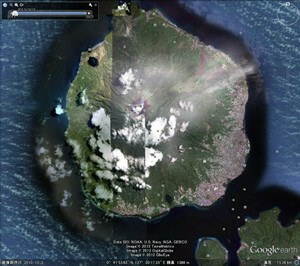 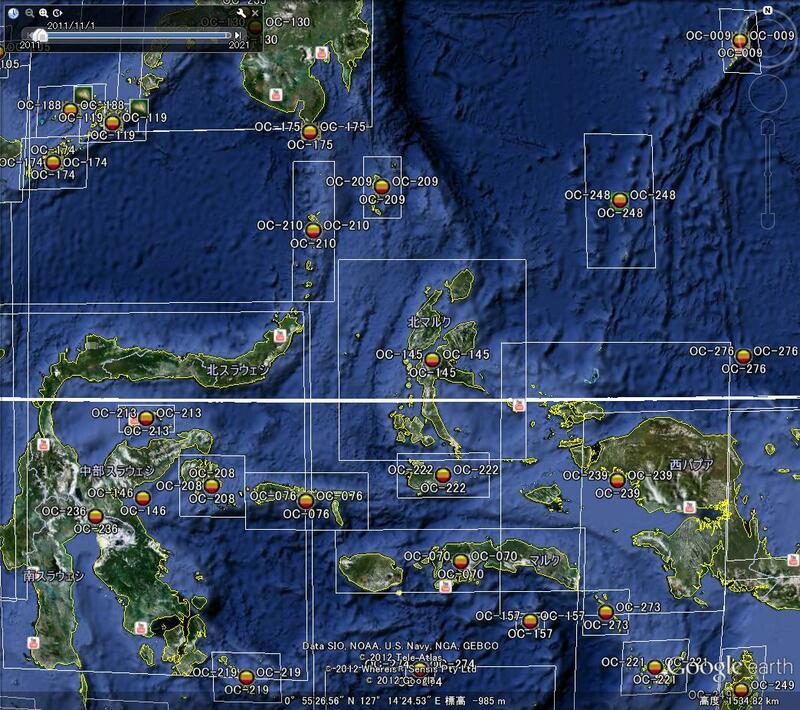 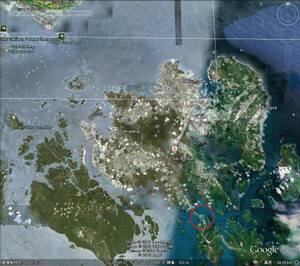 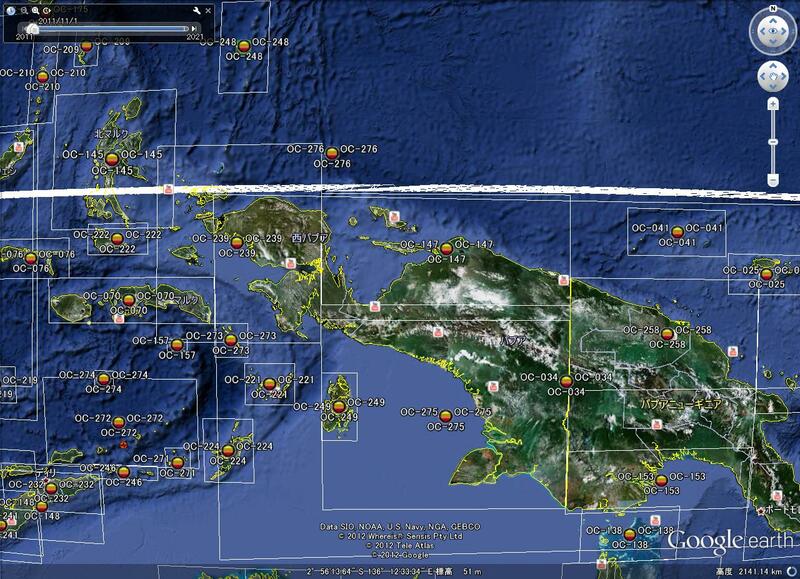 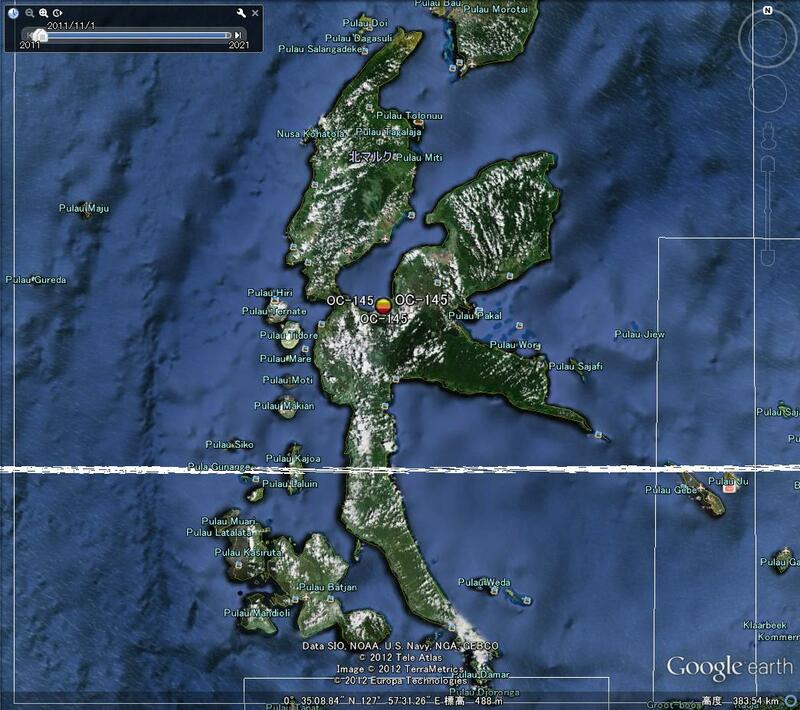 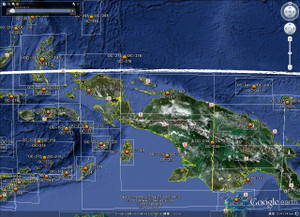 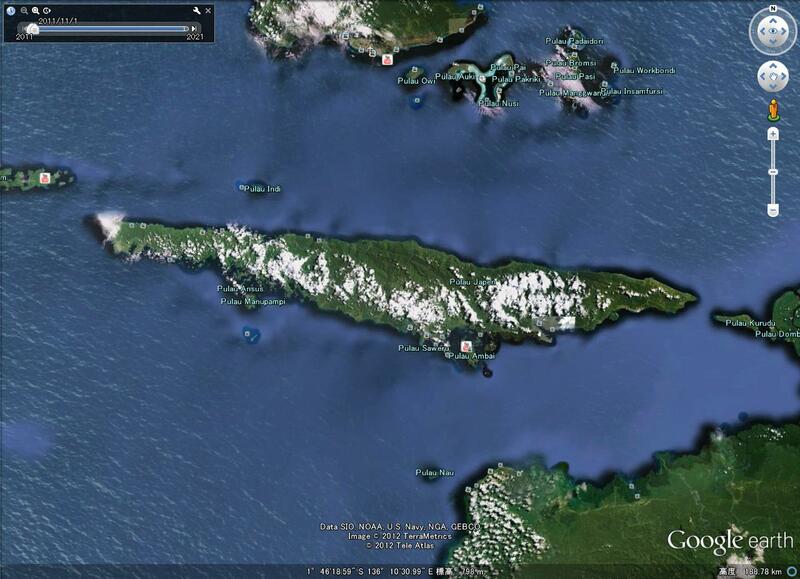 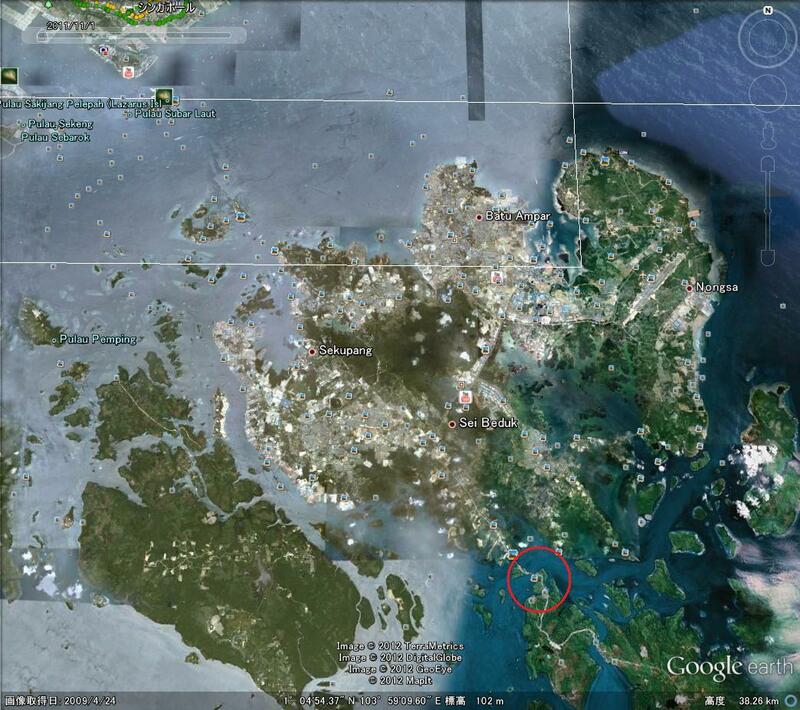 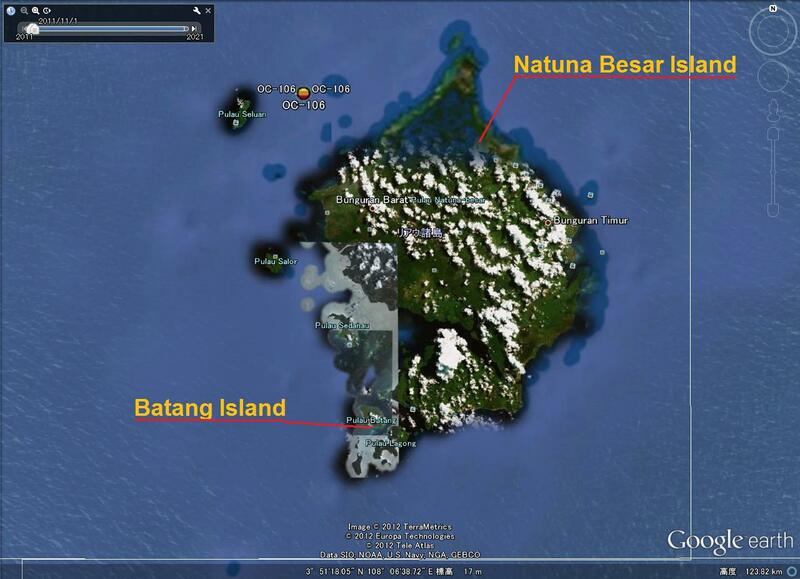 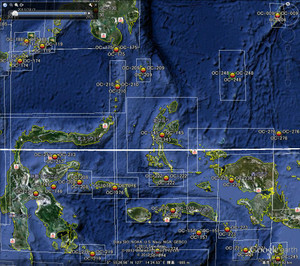 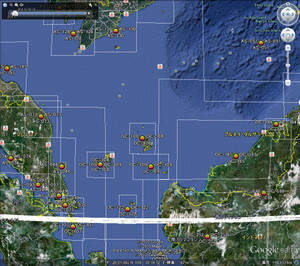 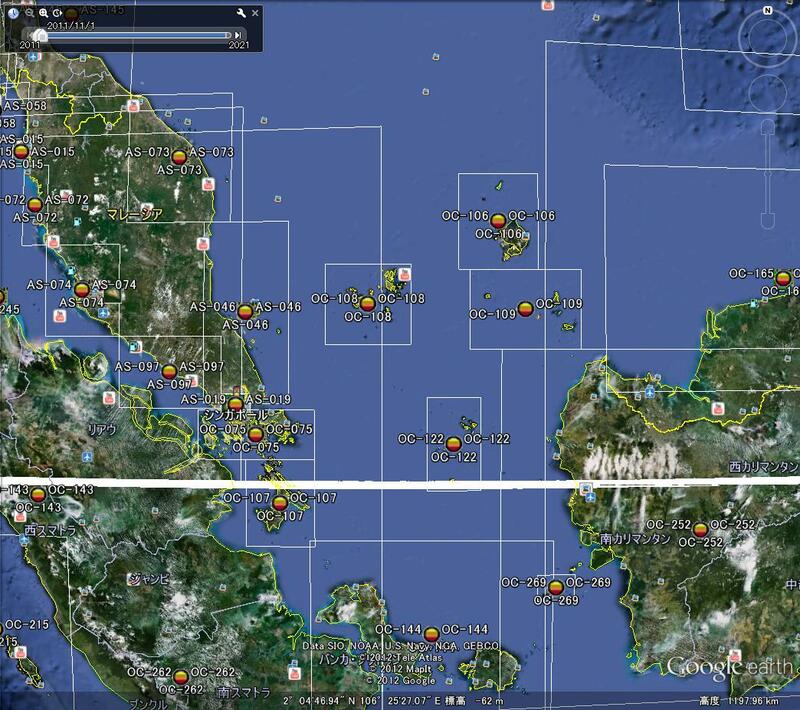 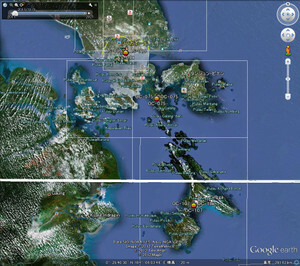 I will discuss possible radiate from Ambon for the next few days. 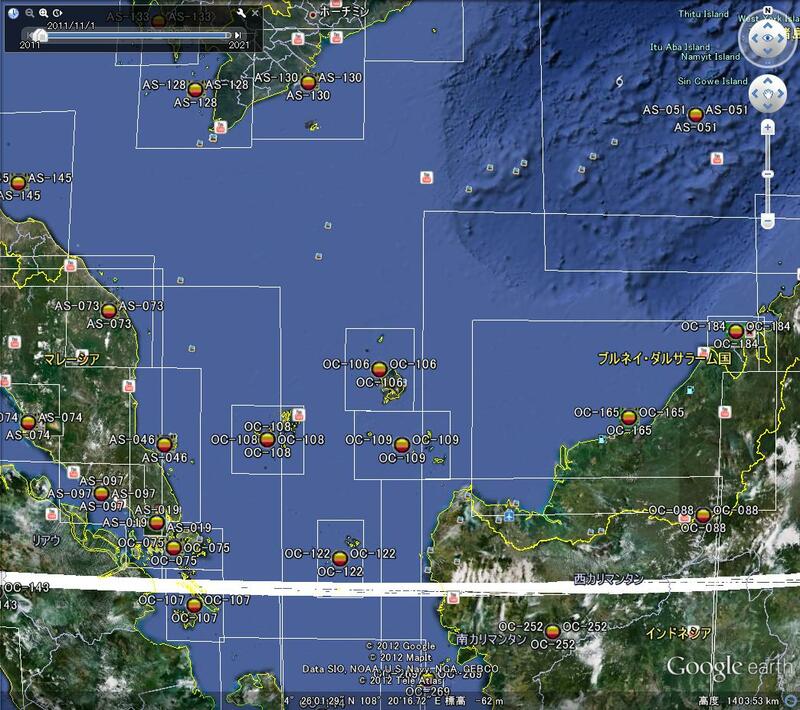 hopefully everything is no problem.